In an earlier post, I reviewed the excellent biography of Milton Caniff and wondered whether any artist as devoid of personal demons or dark secrets as Caniff could be an engaging subject (the answer was yes). On the other side of the coin is the legendary Alex Toth, an "artist's artist" who worked in comics and the animation industry (where he worked on seminal programs like Space Ghost and Jonny Quest), and whose prodigious talent earned the admiration of his peers and continues to influence cartoonists today. Greatly admired and respected (and even beloved), many people sought his friendship despite his reputation as a cantankerous and combative individual. His complex personality and tortured genius makes him the perfect subject for a biography. Buried in a recent 2-disc DVD release of Space Boy and Dino Boy: The Complete Series is an excellent 80-minute documentary on the cartoonist entitled "Simplicity: The Art and Life of Alex Toth." Previewed at the Comic-Con International: San Diego in July 2007, the documentary has everything one would want for a project focusing on an important figure in comics history: it's polished, professionally done, and has high production values. (As more than one person has noted, it easily would work well as an episode of PBS' American Masters series.) More importantly, it is a wonderful and well-deserved tribute to Toth's legacy and commitment to his art. 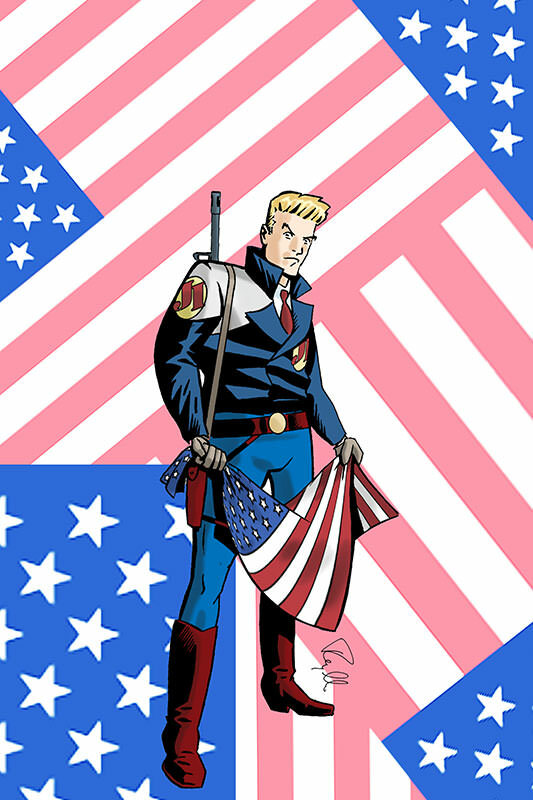 The documentary includes extensive interviews with friends and admirers, including Mark Chiarello, John Hancock, Irwin Hasen, Joe Kubert, Bruce Timm, Paul Pope, and others, as well as his four children. The documentary also touches an emotional nerve, particularly since Toth found some measure of peace, contentment and redemption in his final days. All I'll say is that I regret that I did not try to pursue knowing the artist more aggressively myself. As noted in my tribute to him, I occasionally sent him comps of my own comics, and always received postcards back. Given my personality, I likely would have been too intimidated to seek him out cold and unsolicited as many did (including some of those interviewed in the documentary), but I certainly would have corresponded with him more frequently if I had known--as the documentary makes clear--that he loved exchanging letters. Regardless, those notes I have from Toth are prized possessions. It's a bit of a crime (and a puzzle) why this documentary has not received more attention, but I hope this review helps spread the word a bit.